Amazing rural acreage that was used historically as a ranching headquarters. The property contains two wells however the Sellers are unable to confirm the condition. 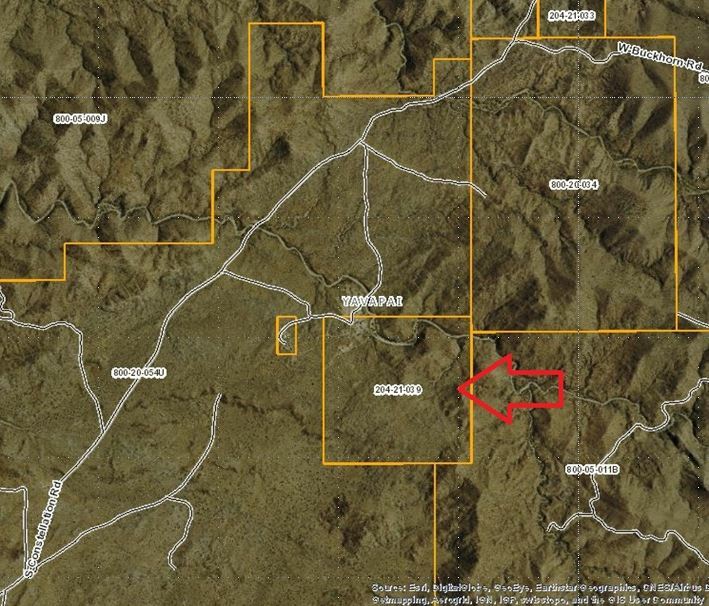 Good access on county maintained dirt roads, close to Wickenburg Arizona. The site was deeded to its original owners prior to Arizona statehood. Lots of Saguaros and Ocotillos that create a beautiful desert refuge that is still close to shopping and dining. LOCATION: Just off Constellation Road in Yavapai County, approximately 7 miles north of Wickenburg, AZ.